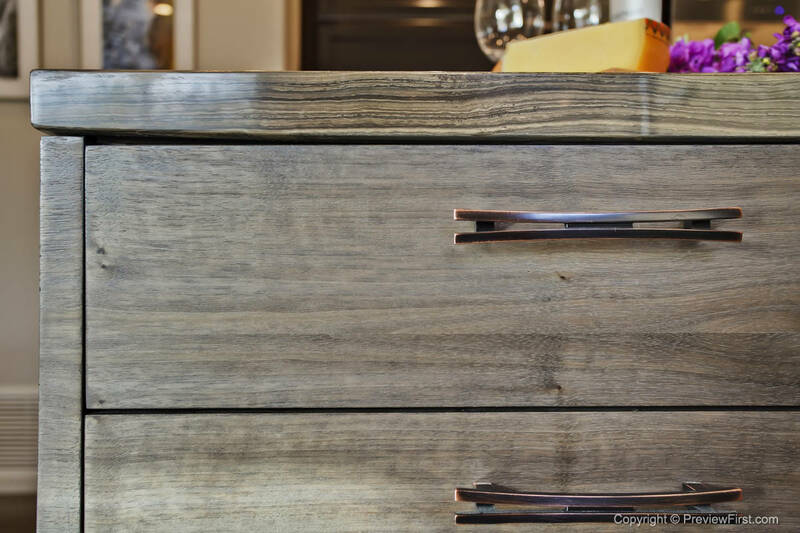 Cabinet hardware is often referred to as jewelry for the kitchen, or the icing on the cake of a beautiful kitchen design. 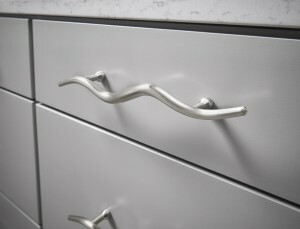 But its one piece of hardware in particular takes kitchen designs to the next level: appliance pulls. 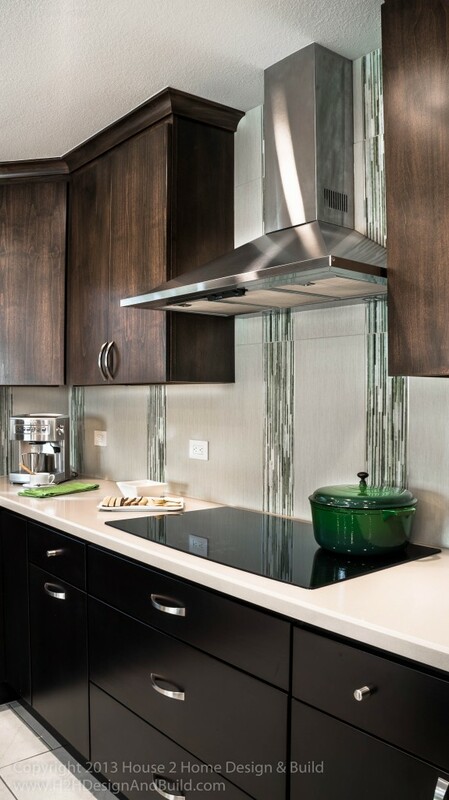 Appliance pulls from Top Knobs offer an opportunity to personalize appliances while creating a cohesive, coordinating look in kitchen design. 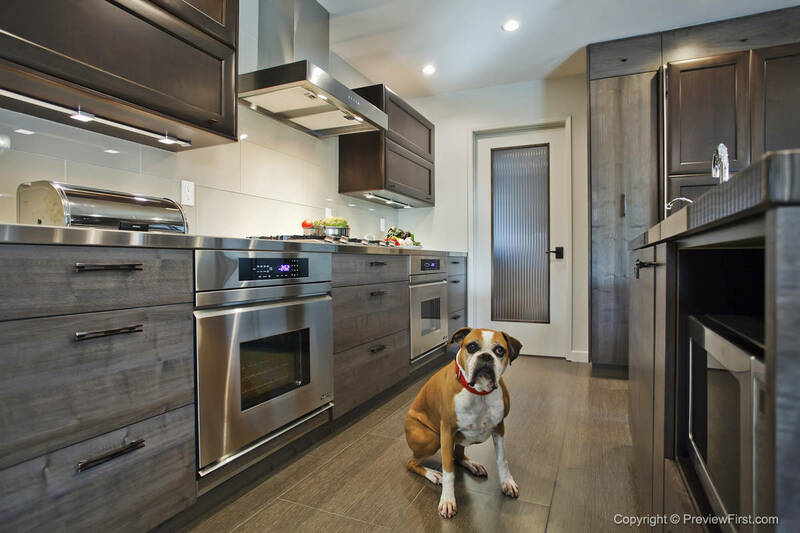 Designed to coordinate with cabinet hardware, they are typically used on paneled refrigerators, freezers, trash compactors, or dishwashers where the front of the appliance looks like a cabinet face rather than an appliance. The pull is used to open the appliance door. 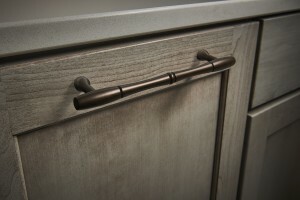 Top Knobs offers an extensive range of Appliance Pulls in a variety of styles and finishes. 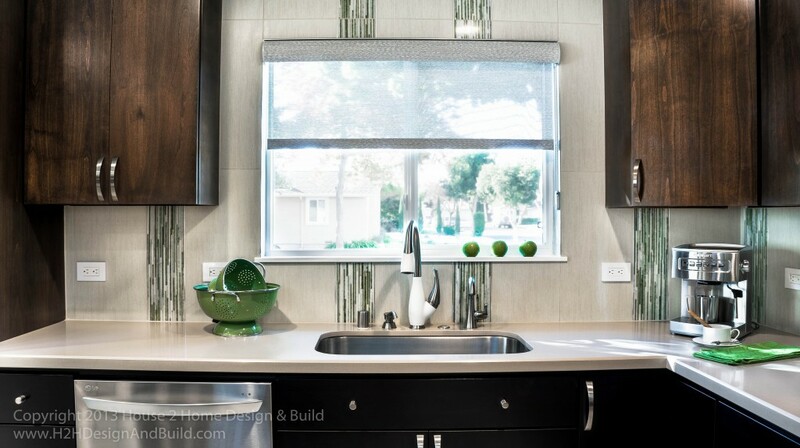 The choice of what Appliance Pull style to use is usually based on matching the cabinet hardware installed on other cabinets and drawers. 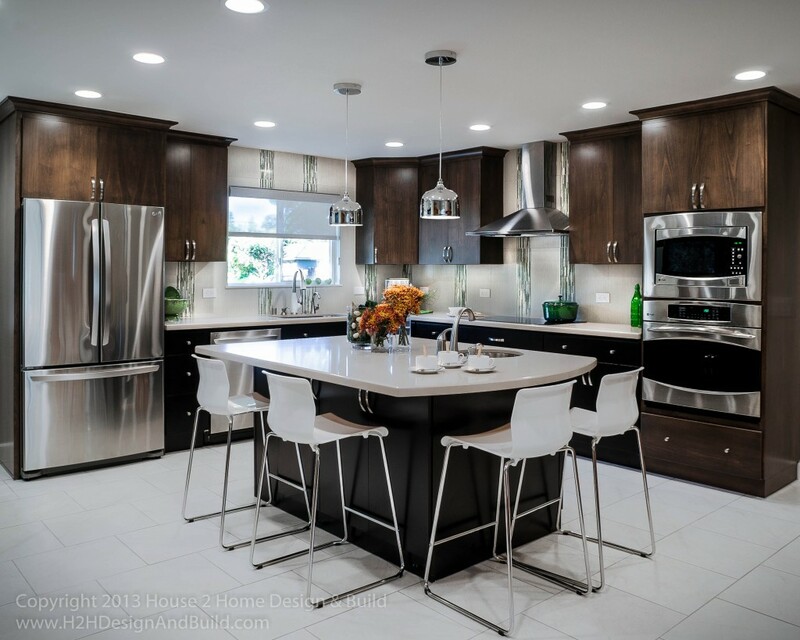 Designed to coordinate with Top Knobs pulls and knobs, some of the most popular Top Knobs Appliance Pulls include the Kara Appliance Pull, Edgewater Appliance Pull, Ascendra Appliance Pull, Hopewell Appliance Pull and Reeded Appliance Pull. 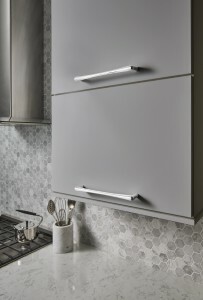 The Top Knobs Appliance Pull collection is offered in 8 different lengths to match any design scheme. Ranging in length from 8″ to 30″, each come with proprietary sealed finish and lifetime warranty. In order to install an Appliance Pull it is best to refer to the appliance manufacturer’s installation manual. 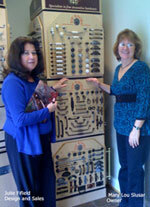 A Top Knobs showroom dealer can also assist with professional installation. 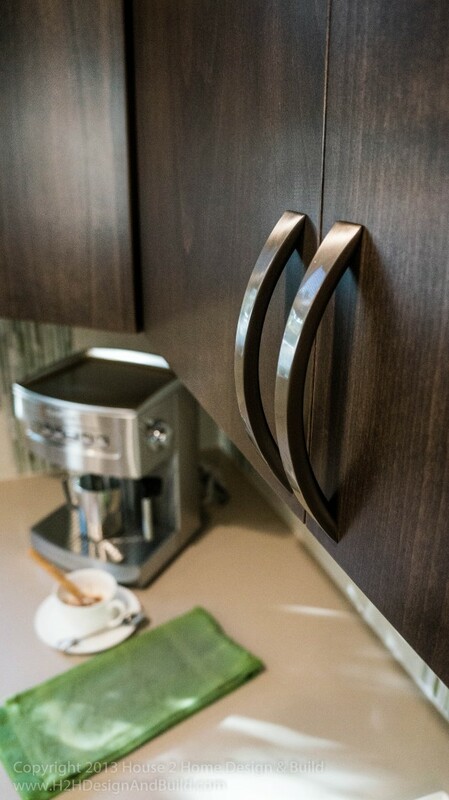 Top Knobs Appliance Pulls make a big statement when a Virginia couple upgrades their basic cabinets and dusty walls for an open layout kitchen with a personal touch. 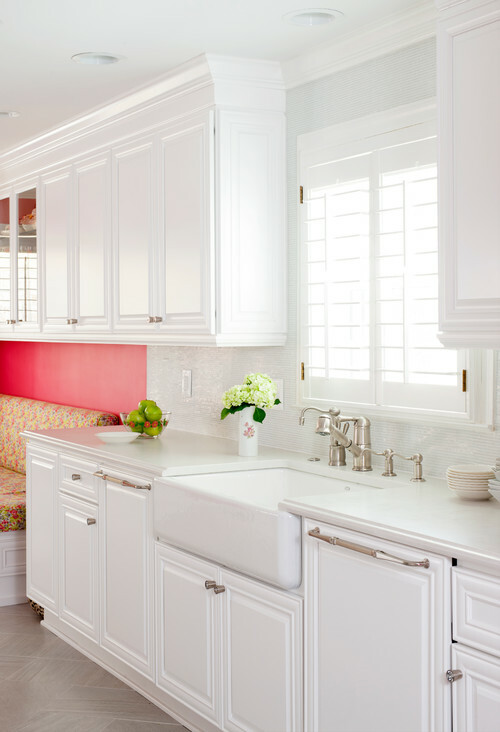 Working with designer Stephanie Dickens, the couple was able to eliminate a short peninsula that separated the cooking area from the dining area in this 260 sq. ft. kitchen in Alexandria, Virginia. 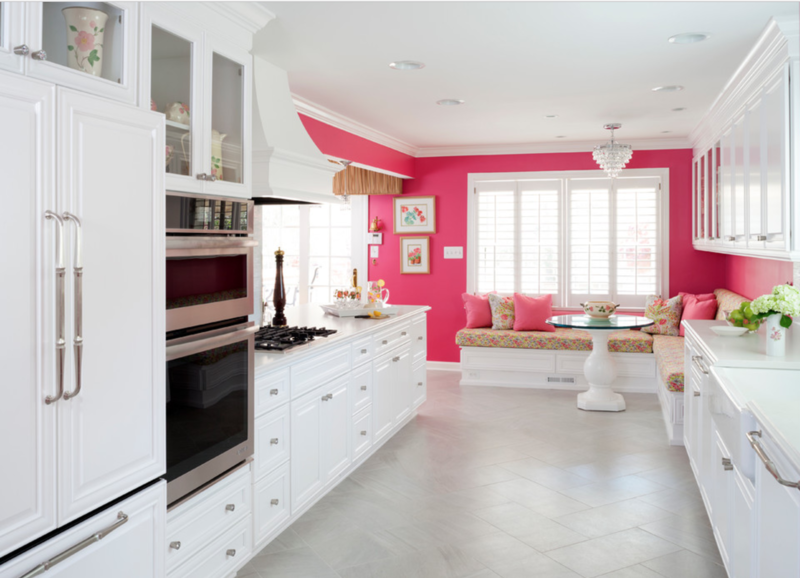 The renovation created a more spacious layout that allows for natural light to brighten the room. 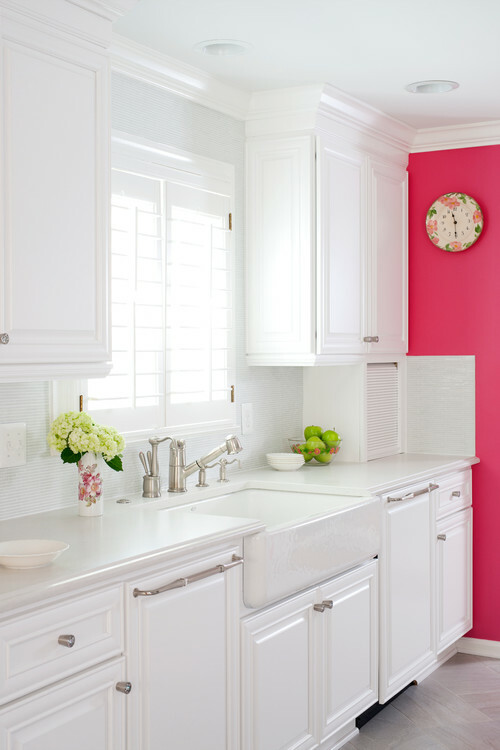 Bright pink walls, the clients favorite color, were used to perk up the mostly white kitchen. 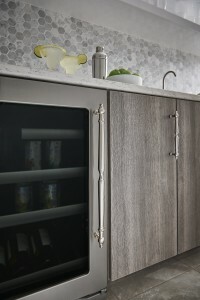 A large French-door refrigerator was paneled to match the elegant raised cabinets throughout the room. 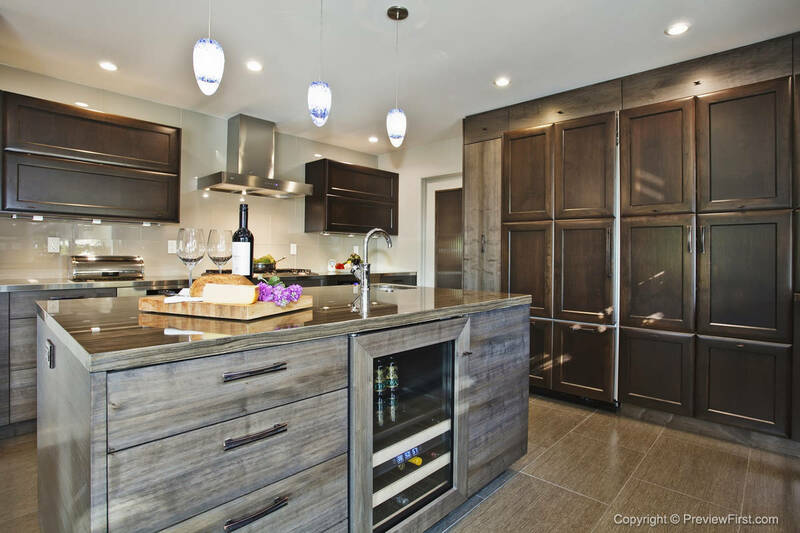 Top Knob’s Chalet Appliance Pulls from the Chareau collection added a touch of personal flair to the couples matching appliances. To read the full story by Jeannie Matteucci featured on Houzz, click here. 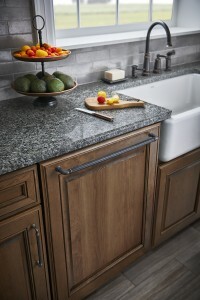 Stay connected with Top Knobs on Facebook, Twitter, Pinterest and Google+. 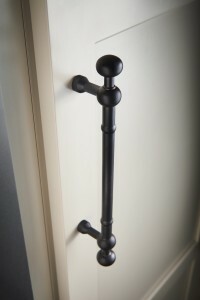 Plus, find out more about the Chareau collection and the complete line of Top Knobs decorative hardware products on www.topknobs.com.